Former Senior Advisor to Pres. George W. Bush (and “Bush’s Brain”) Karl Rove is an author, a Fox News contributor and a regular on Twitter. Is a radio career next? There was also a very brief release about the news – Limbaugh will return to the show the following day. Rove is hardly a new voice for the Rush Limbaugh audience, and likely will be welcomed with open arms. But does this signal Rove is interested in entering the talk radio arena? It’s certainly a lucrative business. 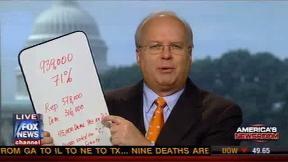 Limbaugh has interviewed Rove on his radio show before as well. The duo are set to make their Family Guy cameos next season.